The Battle of Sarimbun Beach was the first stage of the Japanese assault on Singapore in February 1942, during World War II. Sarimbun, in the west of Singapore Island, was the area in which Japanese troops, under the overall direction of Lieutenant General Tomoyuki Yamashita, first attacked Allied forces. 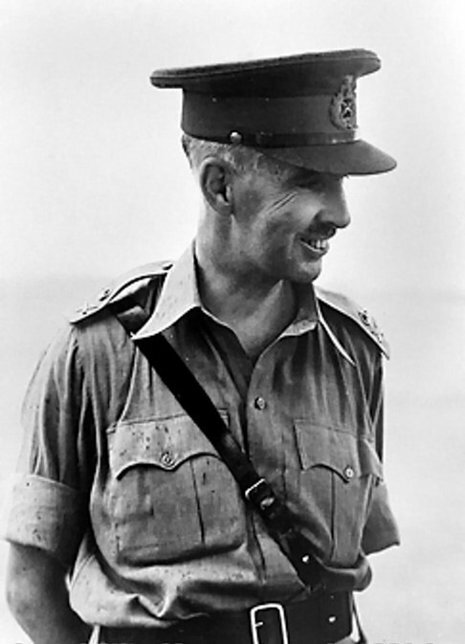 The commander of Allied forces in Singapore, Lt Gen. Arthur Percival, did not expect the Japanese to make their main attack in the west, and failed to reinforce the Australian 22nd Brigade, which took the brunt of the assault. The main Japanese objective to the immediate rear of Sarimbun was Tengah Airfield. 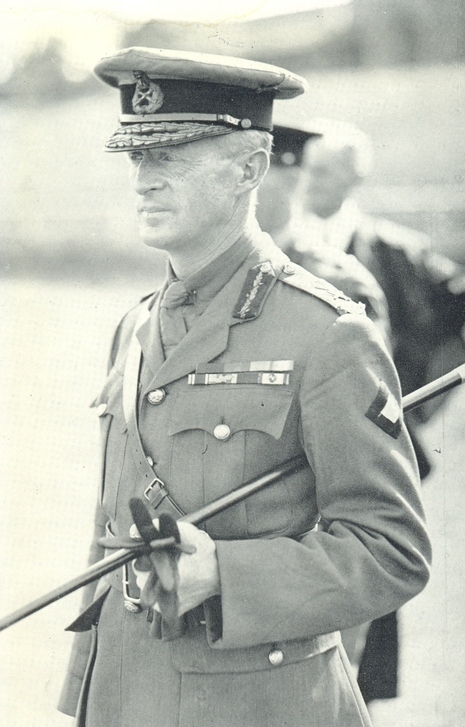 In the lead up to the invasion, Percival gave Major-General Gordon Bennett's two brigades, from the Australian 8th Division, responsibility for the north-western sector of the island, which including the prime invasion points. The terrain was primarily mangrove swamp and tropical forest, broken up by rivers and creeks. Brigadier Harold Taylor's 22nd Infantry Brigade, augmented by most of the Australian 2/4th Machine Gun Battalion, was assigned a 10 mile (16 kilometre) wide sector centred on Sarimbun Beach. The Jind Infantry Battalion of the Indian States Forces, which was guarding Tengah, and a company from Dalforce, a guerilla militia recruited from Chinese Singaporeans. The 27th Infantry Brigade was assigned an adjoining 4,000 yard (3,650 metre) wide zone to the north, adjoining the causeway. The Austraian 2/4th Machine Gun Battalion was distributed among the infantry units. At 8.30pm on February 8, Australian machine gunners opened fire on vessels carrying a first wave of 4,000 troops from the 5th and 18th Divisions towards Singapore island. The Japanese assaulted Sarimbun Beach, which was held by the 22nd Brigade. Fierce fighting raged all day but eventually the increasing Japanese numbers — as well as their superiority in artillery, planes and military intelligence — began to take their toll. The Japanese exploited gaps in the thinly-spread Allied lines such as rivers and creeks. By midnight, the two Australian brigades had lost communications with each other and the 22nd Brigade was forced to retreat. At 1am, further Japanese troops were landed and the last Australian reserves went in. Towards dawn on February 9, some elements of the 22nd Brigade had been overrun or surrounded, and the 2/18th Australian Infantry Battalion, in the centre, had lost more than half of its personnel. The 2/20th Australian Infantry Battalion, on the right flank was also heavily committed. At the same time, the 2/19th Australian Infantry Battalion, on the left, was being outflanked, and only "B" Company faced the initial landings by the Japanese. Percival maintained a belief that further landings would occur in the northeast and did not agree to reinforce the 22nd Brigade until Tengah Airfield itself was threatened. 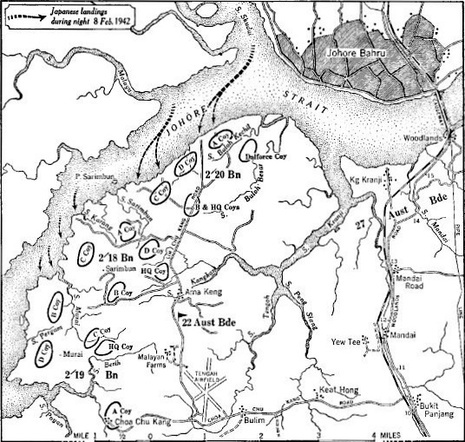 However, before limited British and Indian infantry reinforcements arrived, the badly-battered Australian and Singaporean units, along with the Jinds, had retreated to take up positions on the "Jurong Line", stretching south from the village of Bulim. Tengah Airfield was taken by the Japanese at around midday on February 9. On the night of February 8, using collapsible boats, the Japanese landed under cover of darkness on the northwest coast of Singapore. By dawn, despite determined fighting by Australian troops, they had two divisions with their artillery established on the island. By the next day the Japanese had seized Tengah Airfield and gained control of the causeway, which they repaired in four days. The British forces were plagued by poor communication and coordination, and, despite strong resistance by Commonwealth troops aided by Dalforce and other Chinese irregulars, the Japanese took Bukit Timah--the highest point on the island--on February 11. The British forces fell back to a final perimeter around the city, stretching from Pasir Panjang to Kallang, as Yamashita issued an invitation to the British to surrender. On February 13, the Japanese broke through the final perimeter at Pasir Panjang, putting the whole city within range of their artillery.